This article contains helpful details to implement custom fonts — however, the code changes and additions could be tricky, and altering specific classes of font will require a bit of investigation. While we're unable to help out with these aspects of Custom Fonts from the Help Center directly, we do have a number of recommended experts to assist with these changes. 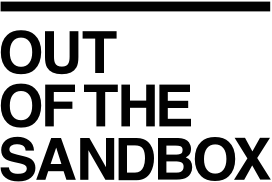 The latest version of all Out of the Sandbox themes include integration with Shopify's font picker, which may make it unnecessary for you to use the steps below. Adding additional fonts to Shopify's font picker menus is not possible at this time. To upload your font file(s), go to Sales Channels > Online Store > Themes > Actions > Edit Code and scroll down to the bottom of the sidebar. For detailed instructions on this process, visit here. Locate the folder named "Assets" and click to expand it. There should be a link to upload a new Asset. /* This is the proper syntax for an @font-face file. You can also refer to this Shopify article on using @font-face. Please note that this will not add the font to the dropdown menus or the Shopify font picker throughout the customize theme control panel. For newer versions of themes that use Shopify's built in font picker, which is required by Shopify, there is no way to add fonts to font picker menu. Instead, you will need to use custom CSS to use a font not featured in the picker, which requires custom code outside of what Out of the Sandbox supports. You can hire an expert to help out with this update.